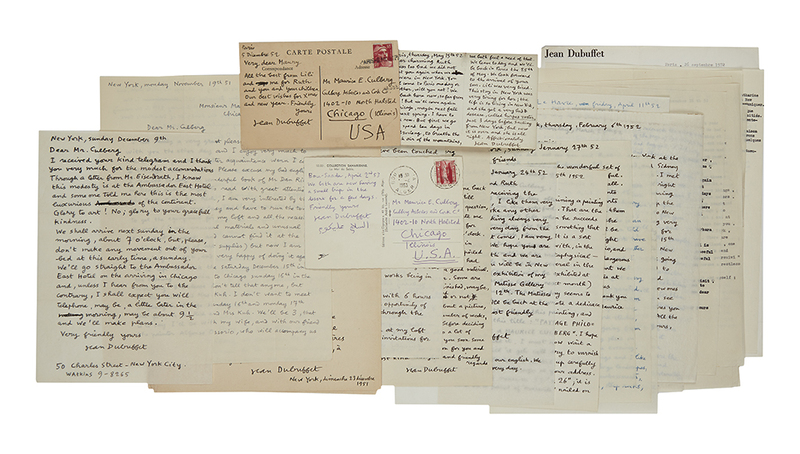 Two highlights of this sale on April 5 are significant, vibrant paintings by modernist New York artists. 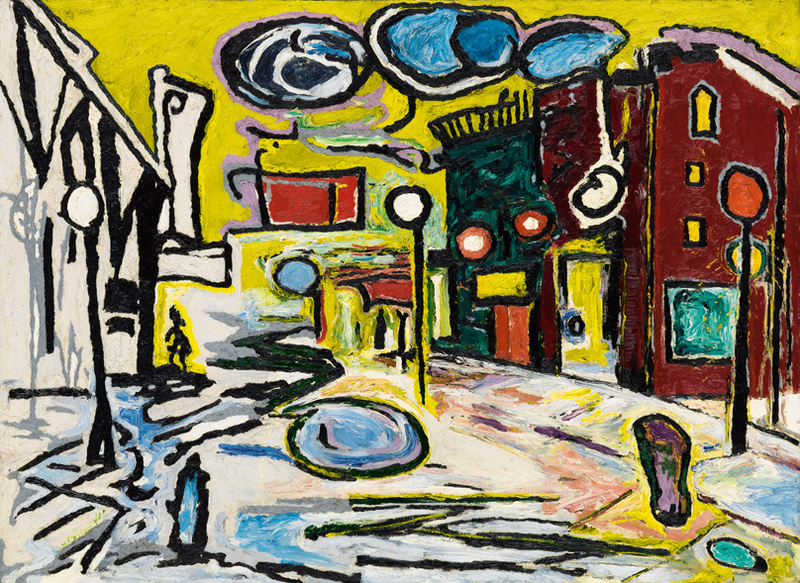 Beauford Delaney’s large Untitled (Village Street Scene), 1948, depicts a Greenwich Village corner in bold impasto; Norman Lewis’s Untitled, 1956, is a mid-career abstraction of a city crowd surrounded by thin veils of pulsating color. An important find is a recently rediscovered tempera painting by Jacob Lawrence of a scene from the War of 1812 from his 1954-56 series, Struggle . . . From the History of the American People. 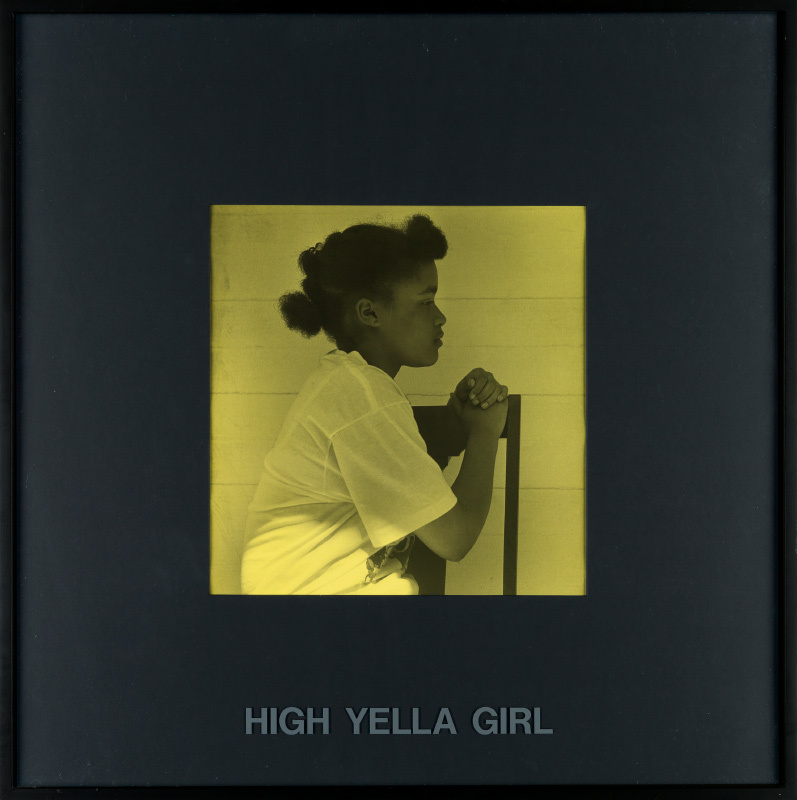 The auction also features a strong selection of abstract canvases by sought-after contemporary artists, with works by Ed Clark, Sam Gilliam, James Little and Jack Whitten, as well as a scarce photograph from Carrie Mae Weems’s iconic 1989-90 Colored People series, High Yella Girl, from an edition of only three. 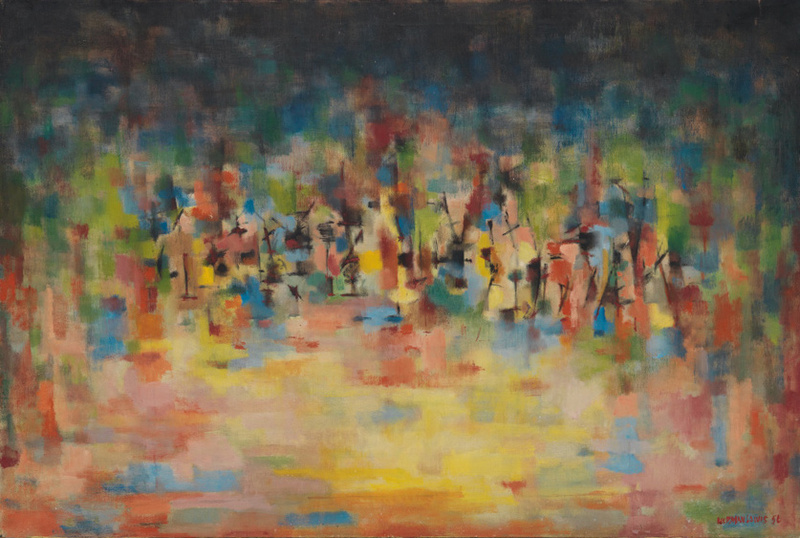 Lot 45: Norman Lewis, Untitled, oil on canvas, 1956. Estimate $150,000 to $250,000. Lot 33: Beauford Delaney, Untitled (Village Street Scene), oil on canvas, 1948. Estimate $150,000 to $250,000. Lot 93: Sam Gilliam, Untitled, acrylic on canvas, 1972. Estimate $40,000 to $60,000. 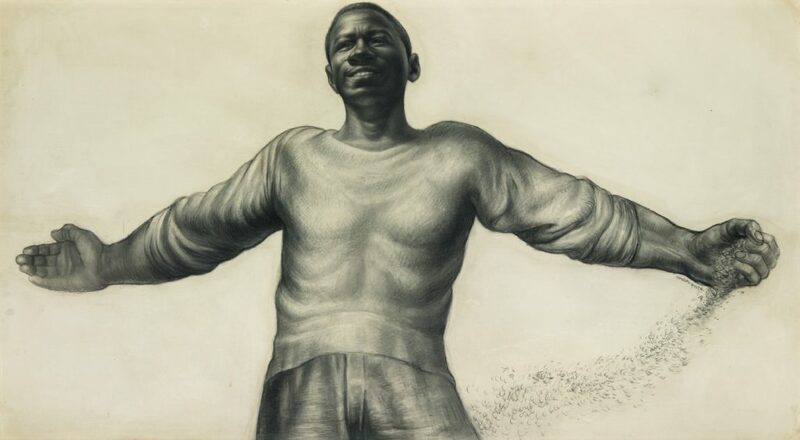 Lot 50: Charles White, O Freedom, charcoal with crayon & wash on board, 1956. Estimate $200,000 to $300,000. Lot 55: Jacob Lawrence, 19. 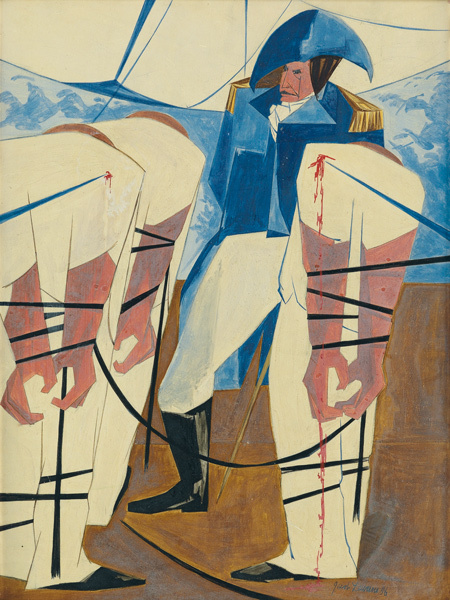 Tension on the High Seas, tempera on board, 1956. 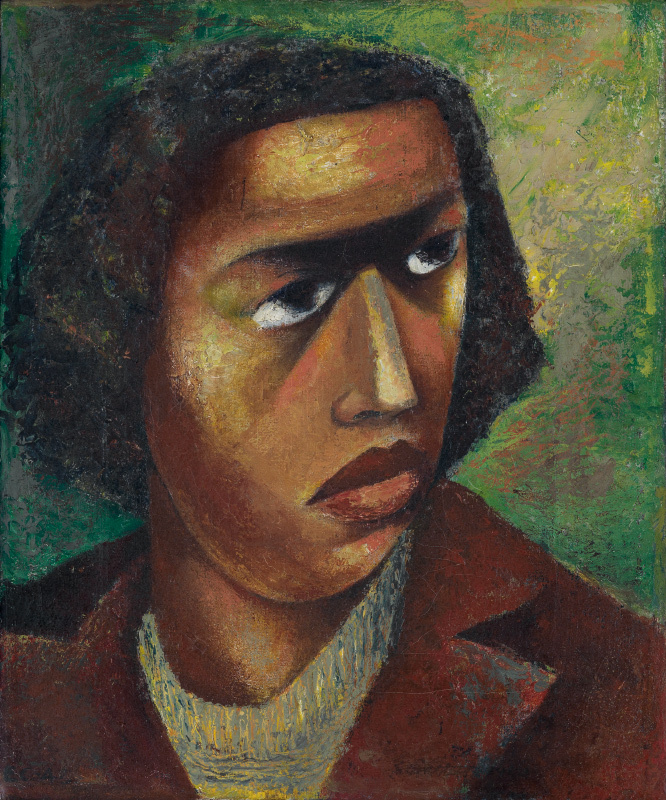 Lot 28: Elizabeth Catlett, Head of a Woman, oil on canvas, 1942-44. 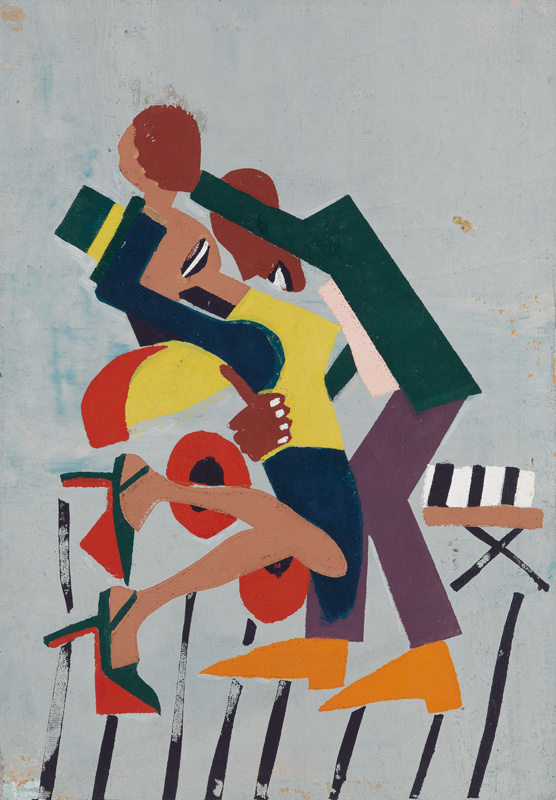 Lot 24: William H. Johnson, Jitterbugs II, color screenprint & pochoir on board, circa 1941. Estimate $30,000 to $40,000. 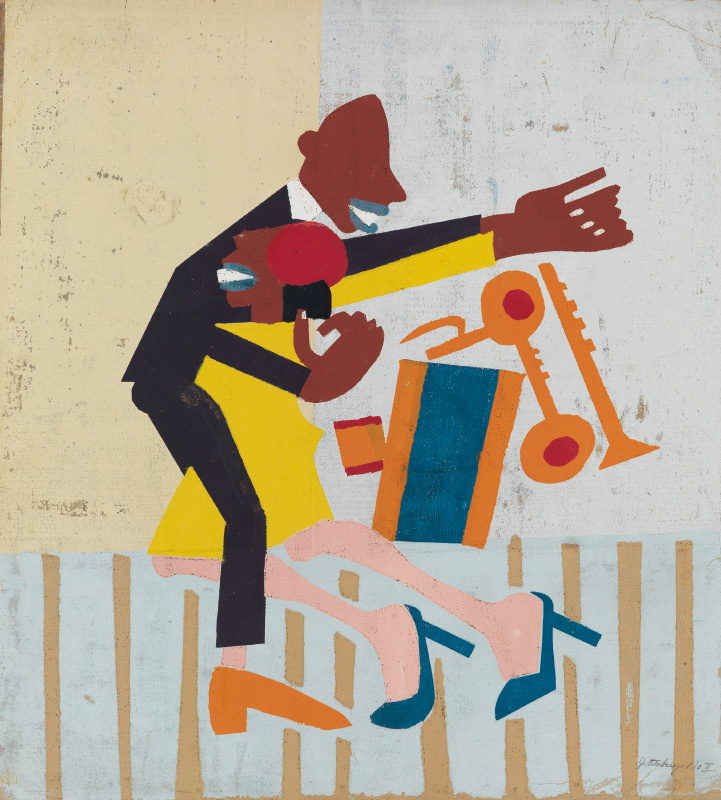 Lot 25: William H. Johnson, Jitterbugs III, color screenprint & pochoir on board, circa 1941. Estimate $30,000 to $40,000. 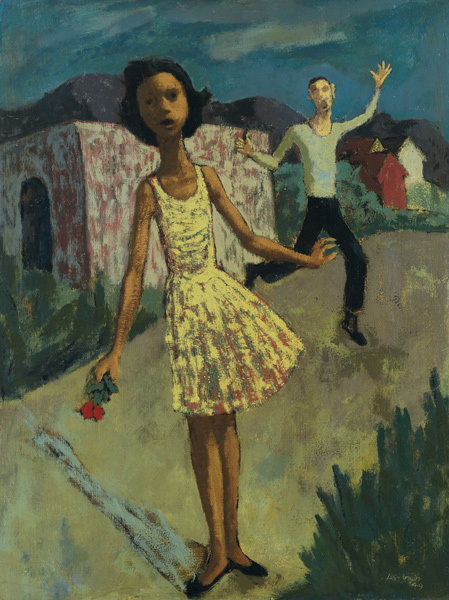 Lot 40: Hughie Lee-Smith, The Bouquet, oil on board, 1949. Lot 128: Carrie Mae Weems, High Yella Girl, toned silver print with Prestype & frame, 1988-90. 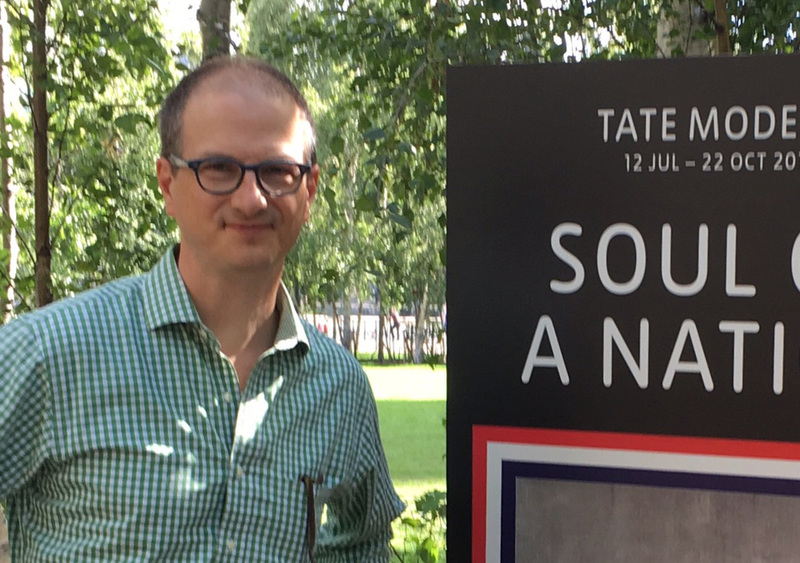 For more information on the sale, contact a specialist in the African-American Fine Art Department. January 10, 2012 Happy Birthday, Max Roach!